I don’t know how most of you feel about Mondays, but I actually like Mondays. I hear audible *gasps* world-wide. 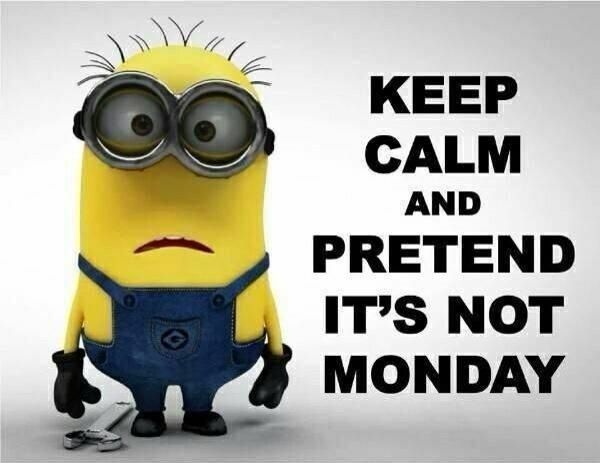 Seriously, I like the potential of Mondays. I always feel like a brand new week is before me and I have all these amazing plans that all have their start on Mondays. Unfortunately by Wednesday I start to become aware that all the good plans I had on Monday have become bogged down in mid-week procrastination. By Thursday I’ve given up entirely and then the weekend hits and let’s face it, I take the idea of R. & R. seriously on weekends. But then Monday rolls around again and it’s a fresh new week ahead…full of potential! I remember watching each one of my three children and over the past few years, my grandbabies, Jaxon, Kharis, and now Baby Paxton. When they were babies I observed something fascinating about each one of my children. Yes, I will admit each of them, at the time of their “babyness” were the cutest babies in the world. That said, what I really noticed is how at nearly four months of age EVERY day for each one of them was so full of potential. They would discover something new every single day. The wonder of hands; how they discovered they had toes and they could grab them! Rattles becoming an obsession with my girls. Each of the babies would milk every day, (literally…hahaha) as they spent every moment discovering more and more about the world around them. My son wouldn’t just look at me with those big blue eyes, no, he would STUDY me! It’s like he needed to memorize my every expression and then he’d try to mimic the sounds that came from my mouth no matter how silly they may have sounded to him at the time. It is interesting how his son does the exact same thing! Kharis is absolutely fascinated with watching T.V. (She may become a couch potato!) The only time she is upset is when her little body starts to wind down for nap time. She wants so much to stay awake, to not miss a single minute of discovery that she gets very upset just before she reluctantly drifts off to sleep. My daughter, Carmen who worked for a daycare for a couple of years would come home with stories everyday of her little charges learning the fine art of using the potty. A big accomplishment for toddlers! I would laugh out loud when she shared about the successes and failures of their attempts because I still remember vividly those “potty training days” with her! Growing up is a grand adventure! Thinking about each of my children and remembering them as babies, there was a wonderment about each new day and as their parent I discovered the world in a new way with them. Now as an Empty Nester, I’ve lost some of that. How I wish that I could have that “newborn” kind of wonderment every single day! To discover, to awake, to find brand new potential not just on Mondays but every single day. I find myself filled with new excitement on Monday morning, but by the time Monday evening comes around I am already wound down. I’m ready to sleep. I certainly don’t weep at the thought of the day coming to an end like my granddaughter does. Morning by morning! What a great reminder that with God EVERY day is full of potential and filled with His tender mercies!